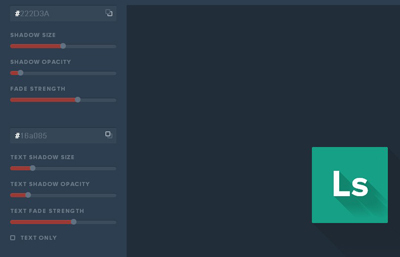 Flat design is a newish term for both print design, web design and mobile operating system design. Flat web design refers to a design form that does away with busy-looking patterned textured backgrounds, drop shadows around lettering and boxed sections within a web site. With the progressive advancement of technology, every designer is adopting the trend of “Flat Design” to apply it in their work. 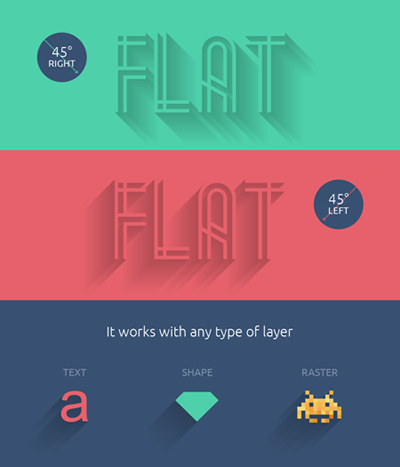 Even the renowned companies like Google and Microsoft is gradually following the trend of flat design. 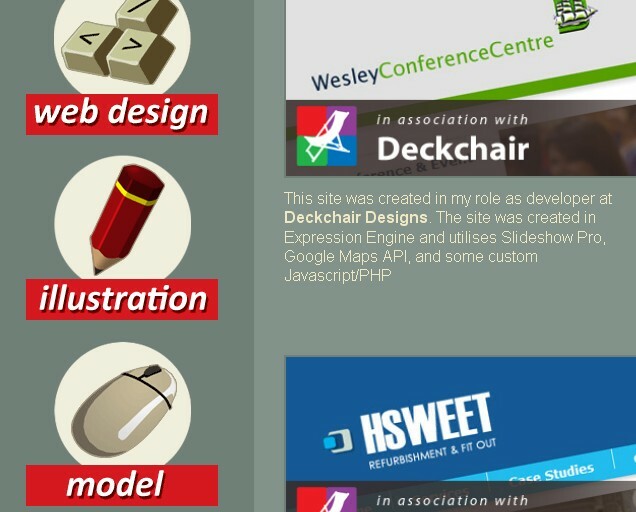 Just after the popularity of flat design,a new design trend came into our lives.And it is the long shadow design.Long shadow design is not as popular as the flat design trend and although many designers do not like this new trend but you can see amazing examples of long shadow logos,icons etc. In today’s post we bring together beautiful long shadow flat logo designs for your inspiration.Some of them have been designed just for fun and some are for clients.Here is the collection of 45 long shadow flat logo designs. Here are a few long shadow freebies you will like !!! Apply this style nice and easy to any type of layer. It works with smart objects and is available in 2 directions at 45 degrees. 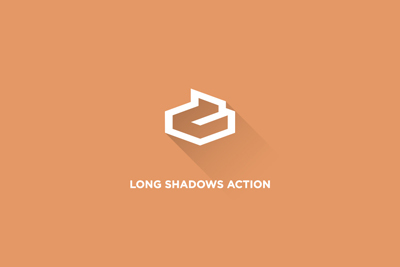 A Photoshop action to create a long shadow logos,icons etc. 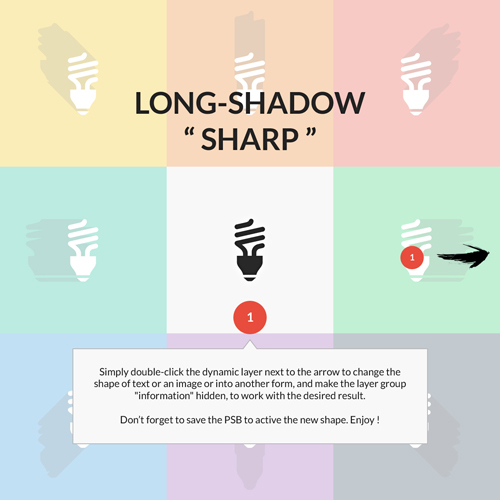 2 PSDs to generate shadows.